Stunningly beautiful, this 6' mixed cypress grass silk plant with resin container will never need a drop of water or pruning. Whether displayed in your living room or in a covered patio setting you'll swear that is resembles a real indoor houseplant. 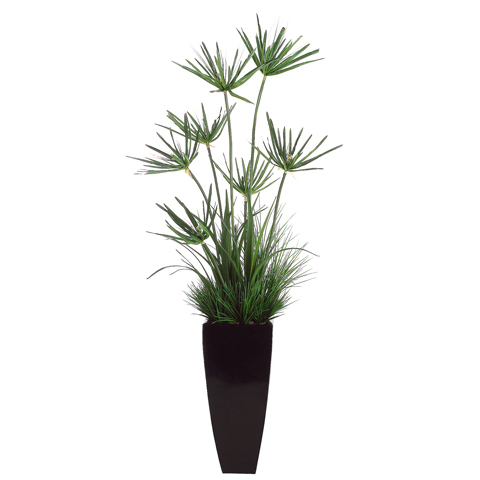 Carefully crafted this artificial indoor plant is a true masterpiece and a treasure to behold and touch. And... You'll get to cherish it for a lifetime!